To add your business to our directory, please fill out your details below and a a member of Enniscorthy Chamber will be in touch to complete your new business profile. Welcome to PQ Glass Design which is located in a converted barn overlooking beautiful Mount Leinster and Black stairs Mountain. 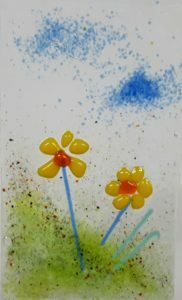 Visit Pauline in her studio and shop where you can view her designs in stained and fused glass. Pauline also runs a variety of workshops.